Read here about our exciting new plans to develop, beginning in January 2019! 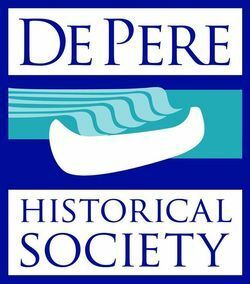 The mission of the De Pere Historical Society is to promote public awareness, understanding, and appreciation for De Pere's rich historic past through educational programs; to discover, to collect, and to preserve materials related to De Pere's history; to serve as a repository of information for others interested in De Pere's history; and to chronicle the events of the present for future generations. Your generous support and membership of the De Pere Historical Society enables us to properly maintain White Pillars Museum and the Polo-Resto Service Station and provide educational opportunities for community members. Individual and family membership options are available. The City of De Pere deserves to be proud of its long historical past which dates back to 1671, when Jesuit Father Clause Allouez founded the Mission of St. Francis Xavier at the foot of the rapids of the east side of the Fox River. The area became known as "les rapides des peres" or the "rapids of the fathers", it was later shortened to just "De Pere". Preserving, fostering and promoting this long heritage is the De Pere Historical Society, started in 1970 by the De Pere Chamber of Commerce. Learn more about De Pere's Historical places.